Grave / Memorial Reference A. 16. 37th Howitzer Bty. 27th Bde. 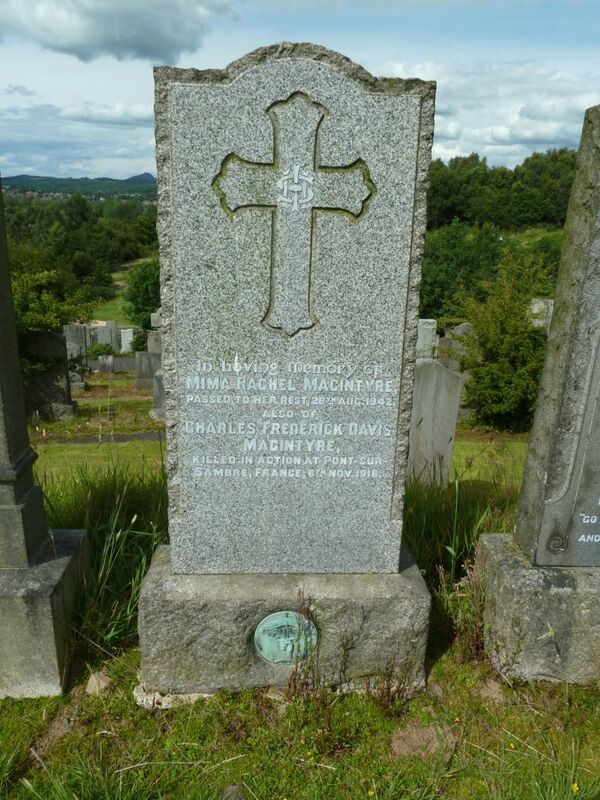 Son of Rachel Macintyre, of 21, Partickhill Rd., Hyndland, Glasgow, and the late Donald Macintyre, of Ardchattan. Member of Glasgow High School, O.T.C., and Glasgow University, O.T.C. United Kingdom Second Lieutenant Royal Field Artillery 37th Howitzer Bty. 27th Bde. Age: 19 Date of Death: 06/11/1918 A.16. Charles Frederick Davis Macintyre was born in Ardchattan, near Oban, and was the son of Donald and Rachel MacIntyre. Charles attended the High School of Glasgow, and was a member of their Officers' Training Corps (OTC). 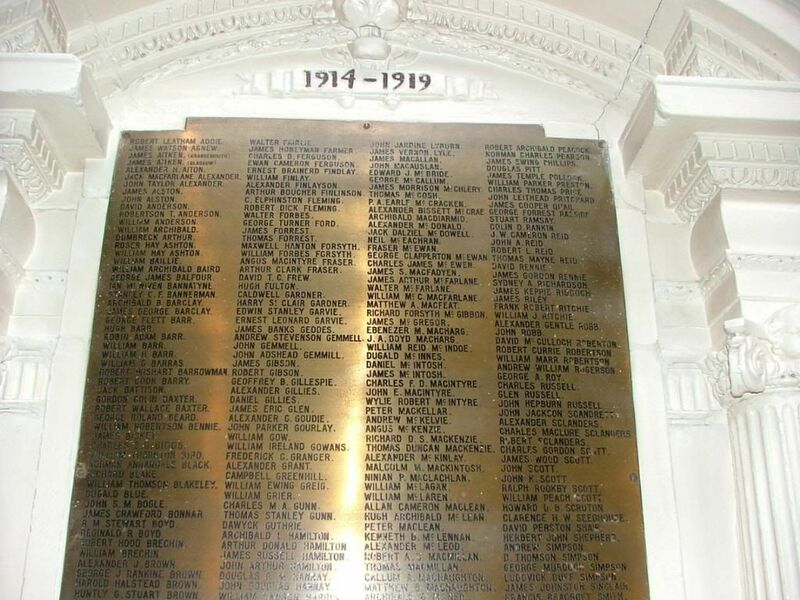 He then joined the University of Glasgow's OTC, before joining the Royal Field Artillery's 37th Howitzer Battalion. 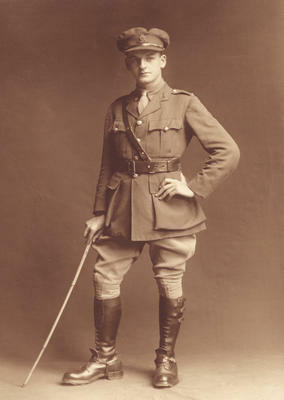 Charles was killed on the 6th of November, 1918 - only 5 days before the end of the war. He is buried at Pont-Sur-Sambre Communal Cemetery, and his gravestone reads 'Per Ardua' (translated as 'Through Adversity'). He is commemorated on the War Memorials of the University of Glasgow and on the Roll of Honour of the St Bride's Episcopal Church, Hyndland.